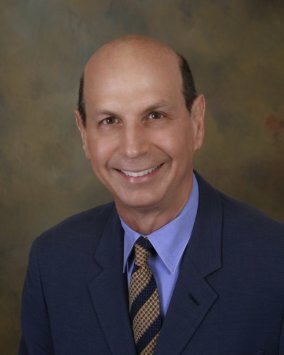 Review for Dr. Barry E. LoSasso, The Best Nuss Surgeon In North America. The Best Nuss Surgeon In North America. I had originally received the Nuss Procedure from an incompetent surgeon in San Diego who botched my first surgery. My insurance company forced me to go to a second rate Nuss surgeon who didn't know what he was doing and placed a Nuss bar in me that did absolutely nothing. In fact it was placed so poorly that it was pressing against my heart and lungs and caused scar tissue to form because of it. So after getting the first botched surgery I went to got a second opinion from Dr. LoSasso with whom I had originally requested to see for my first surgery, (but my crap insurance sent me to the other guy instead). After consulting with Dr. LoSasso he agreed that I would need to get the Nuss Procedure done again by him properly and this time, with 2 bars because of the severity of my Pectus and older age. After the second surgery the results have been night and day. I feel like a completely different person. Before the second surgery it felt like there was a weight on my chest and I would have difficulty breathing, shortness of breathe and chest pains. Now, I feel as if I am breathing for the first time again and have way more energy than I did before having the second surgery by Dr. LoSasso. Not to mention my chest is perfectly flat and I no longer dread taking off my shirt in public places. I really can't thank Dr. LoSasso and his awesome staff enough for all of their help through this extremely difficult time in my life. All I wish is that anyone looking to get the Nuss Procedure please consult with Dr. LoSasso first. You will not be disappointed with the results! Thanks again for everything Dr. LoSasso you are a lifesaver. Literally.